Presence has become a management concept. Otto Scharmer’s Theory-U, otherwise known as Presencing, has grown into a small and vital industry, training organizational practitioners worldwide. The U can be mapped onto the Hero’s Journey – take a look at Ginger Grant’s book, Finding Your Creative Core, to understand more fully what this means. The psyche of organizational culture is action-oriented. This means doing. Meeting, talking, getting results, reporting, achieving the objective. Too, we think of the Hero’s Journey as a myth, ultimately, of doing: questing, and reaching the objective of the quest, by whatever expected or unexpected means. But what does it mean have presence? To, simply, be present? 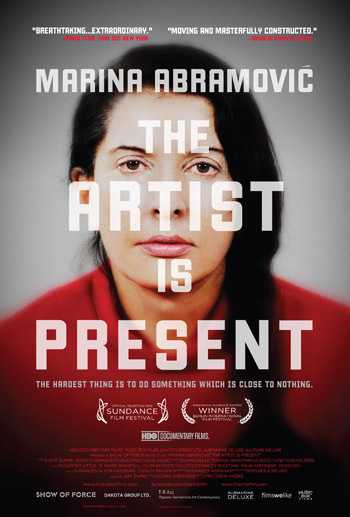 As part of her recent retrospective exhibition at the Museum of Modern Art in New York, the performance artist Marina Abramović sat, each day for the duration, with any visitor who wished, for as long as they wished. The encounters were silent. They lasted as little as about one minute and as long as twenty or more. Each encounter was documented with a single photograph of the visitor’s face, and occasional photographs of the artist’s. These photographic documents are available to view on MoMa’s flickr page, and on the artist’s page. Please visit them (links below). If you choose to look, the photographs reveal a great deal about presence. Looking at the photographs closely is a way of being present in itself. There are nearly 2,000 images, showing a moment of presence on the part of individuals of all ages and races. You will recognize a few faces, of Lou Reed, Björk, Viggo Mortensen, and these are rather startlingly free of makeup and revealing of wrinkles and natural flaws. One dark-eyed man shows up, again and again. Nearly all the rest are anonymous. Some are tearful. Some seem impassive. Some heads are tilted backward, some forward. Jaws jut or are drawn inward. Lips are relaxed, or compressed, or upturned slightly into a Mona Lisa smile. Eyes are shining, dull, wide, narrowed, or focused with what seems like perplexity. All mesmerizing. So much information in a collection of moments. None of these expressions will be unfamiliar. Our brains are exquisitely wired to perceive facial signs. And, these are the kinds of things one can only experience consciously, actually see, when simply looking, closely, for an extended moment. Uninterrupted. Just being there. Just being present. One may say that the museum is a far safer place for presencing than the workplace. Even sitting in the presence of a recognized master, witnessed by other strangers waiting behind a rope, penetrated by a democratically unforgiving illumination, and risking being revealed in a close-up photograph that will become a public document. Creative style, Skill, Talent: These are different from each other, and they operate independently of each other. Yes, they do interact, and yes, can support and enhance each other. But they are not quite the same. Talent: Everyone has some. Talents are not restricted to art, of course. And they can lie undiscovered or undeveloped for years. For a broad assessment of major talents, try the Gallop StrengthsFinder assessment. Purchase the book Now Discover Your Strengths http://www.amazon.com/Discover-Your-Strengths-Marcus-Buckingham/dp/0743201140 . Be sure to purchase a new copy, which includes a code for one-time-only access to an online survey. You will receive a list (and definitions) of your top five Strengths, which for all intents and purposes will also identify your unique talents. According to Gallup, “A talent is a naturally recurring pattern of thought, feeling, or behavior that can be productively applied.” Having a talent does not imply that you actually have developed skill or flexibility in applying that talent, but at the minimum, you will have the potential for developing that talent. Talent development is possible – and it takes some work. Most of us depend on the same tried and true behaviors or skills which are the applications of our talent(s). The good news is that knowing what your talents are is the first step to developing them into skills. Skill: Skills are behavior, the things we can really do. Skills can be learned. True, if you have a talent, your potential for excellence in the skills supporting it is greater than if you don’t have that associated talent. But we all are called upon to do things that at first we don’t do well; and we can learn how to achieve mastery. It’s also true that we enjoy doing things most when we can employ our natural talents. And you know that simple memorization will likely not provide you with depth of insight or meaning. You know the drill: practice, practice, practice. Values: Values are, really, your highest priorities. When you identify your real priorities, you have the master key to what motivates you. Think of values as packages of energy, which when triggered, are guided by your creative style, enhanced by your own particular talents, and applied through your skills. Then, mountains get moved. Effective and lasting development requires an integration of all of the above. It also requires a commitment, because true development takes effort. But, when it mixes in the stuff you really are, it’s also fun. Matthew Crawford has written an excellent book on the value of working with your heart as well as your hands – the reality of practical activity. What have we lost in moving away from the art of ‘making’? How does the modern working environment deaden our senses? Is the emphasis on the knowledge worker in our economy missing a valuable resource? Some interesting questions for anyone whose heart lies in ‘making’. The work of skilled ‘builders’ cannot be outsourced and forges a strong bond with the community in which the builder resides. Crawford makes his case for the sheer pleasure of manual labor – emphasizing the skilled artisan of the past and needed as a valuable asset in our future. 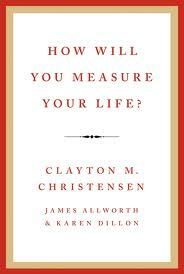 An interesting addition for any reader who studies the world of work. Depth Psychology challenges orthodox psychological thinking by insisting that the field of psychology must itself revision its ideas. 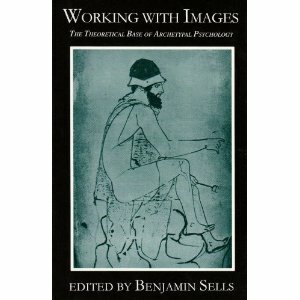 For the student of the imagination, Benjamin Sells has compiled formative articles from the Spring Journal that explore the use and the power of images. Its generative ground for both theory and practice is ‘psyche’ or soul, that is the source of our imagination. Working With Images provides a method for reaching into the imagination and feeding the creative source. For anyone interested in maximizing creative potential, this work provides an aesthetic foundation from which to build. A great reference guide! 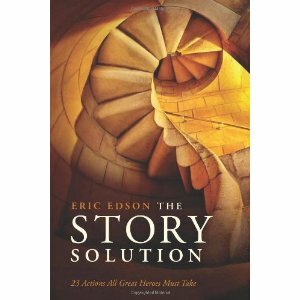 For anyone who is interested in how story works, author Eric Edson has provided a compact framework from which to build a powerful tale. Edson has written seventeen feature screenplays for companies including Warner Brothers, Sony, Disney and Showtime and is a Professor of Screenwriting and Director of the Graduate Program in Screenwriting at California State University. He outlines 23 interlocking actions used in every successful screenplay that can create dynamic heroes and captivating plots. For the corporate reader, this is an excellent reference guide to the transformational arc that every character needs in order to grow. So does your CEO quality? You be the judge!